PnB Rock is back in the public as a free man. The rapper reportedly posted bond yesterday for him and his girlfriend, Stephanie Sibounheuang, who was also arrested. Reports initially stated that his bond was set at 10% of $500K, although other reports claim that he posted $500K for his and Sibouenheuang's release on Wednesday night from Bucks County Correctional Facility. PnB Rock is still facing charges of possession with intent to deliver, possession of narcotics, receiving stolen property (for the stolen handgun), criminal conspiracy and other related offenses. Sibouenheuang was charged with possession of narcotics, receiving stolen property and criminal conspiracy. 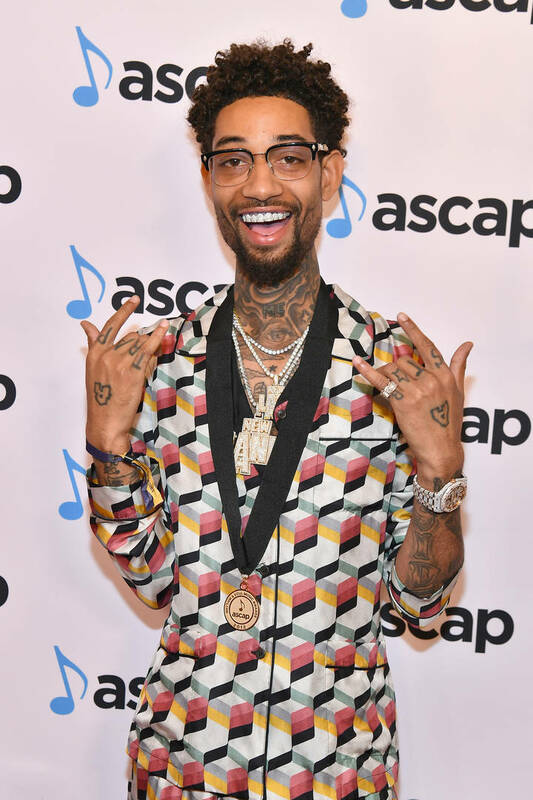 Earlier this week, PnB Rock's home was raided by police in Bensalem, Pa. According to police, police received many complaints of loud parties and a strong scent of weed coming from the rapper's home. The complaints have been going on for a few months at this point. After an investigation, the police managed to find enough evidence to execute a search warrant on his home on claims that he's trafficking weed. Police ultimately found four pounds of weed in his house, scales, packaging material, $33K in cash, as well as a stolen .40 caliber Glock. Now that he's posted bond, we're hoping that he gets back into the studio and cooking up more tunes. The rapper delivered his project, The Throwaway$ in November to hold everyone over until Trapstar Turnt Popstar.